Thomas Paine, who may be our very first political analyst, wrote during the time period just before and during the American Revolution. His commentary, which was distributed to the colonists in pamphlet form, was meant to inspire people to rise up and overthrow the British rule in the American colonies. He was an avid supporter of revolution and when he wrote The Crisis # 1, he was urging people to take a stand. The Crisis # 1 was written in 177. Paine was in the company of General Washington and the army when he wrote it. It was very well received by General Washington. Iin fact, Washington read it to his troops to rally them to the cause. It has a very famous opening line…these are the times that try men’s souls. The line was meant to be a rallying call, much the way Patrick Henry’s “give me liberty or give me death" was used to rally people to support the war. Paine’s main idea when he wrote the article was that freedom is not just handed to a group of people. He is aware that many of the colonists what freedom. However, he says wanting freedom is not enough. The colonists have to fight for it. They have to defend the country so that future generations are free. Although students may at first struggle with some of the language in Paine’s piece, the essential message is key to their understanding of the American Revolution. Download the power point on The Crisis, the copy of the document, and the analytical questions that students should answer. There is an answer key as well for the teacher’s use. This is one lesson in American History that students will carry with them for years to come. 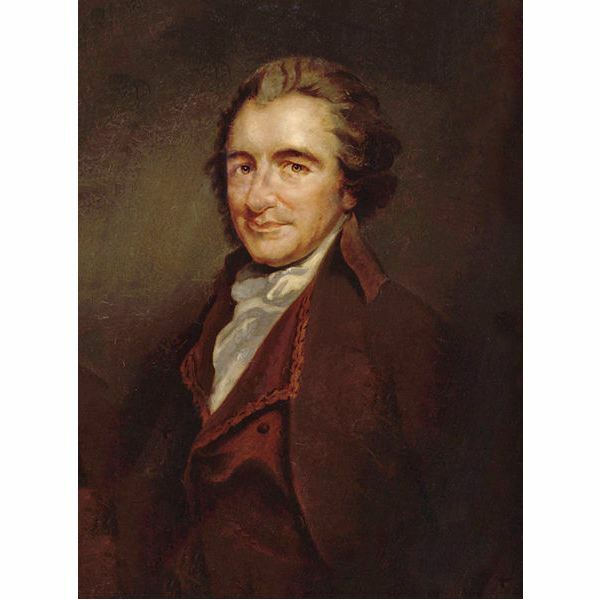 These lessons are sure not to try your student’s souls… Teach them the inspiring words of Thomas Paine.